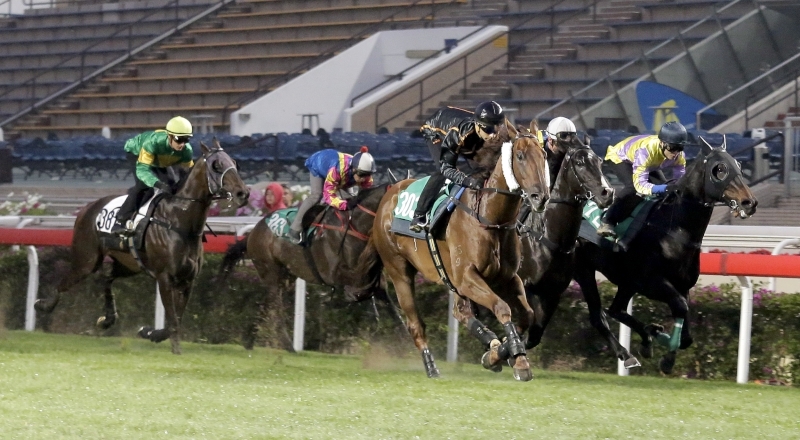 There are many potential plot lines for Sunday’s (8 January) Group 3 Bauhinia Sprint Trophy Handicap (1000m) at Sha Tin, but perhaps the oddest of them all is a case, of sorts, of fiction coming to life. A 2005 feature film, released globally as Kill Zone but known locally as SPL: Sha Po Lang, saw characters played by Hong Kong icons Donnie Yen and Sammo Hung come to blows in a classic kung fu fight, with Yen prevailing after a bruising battle. 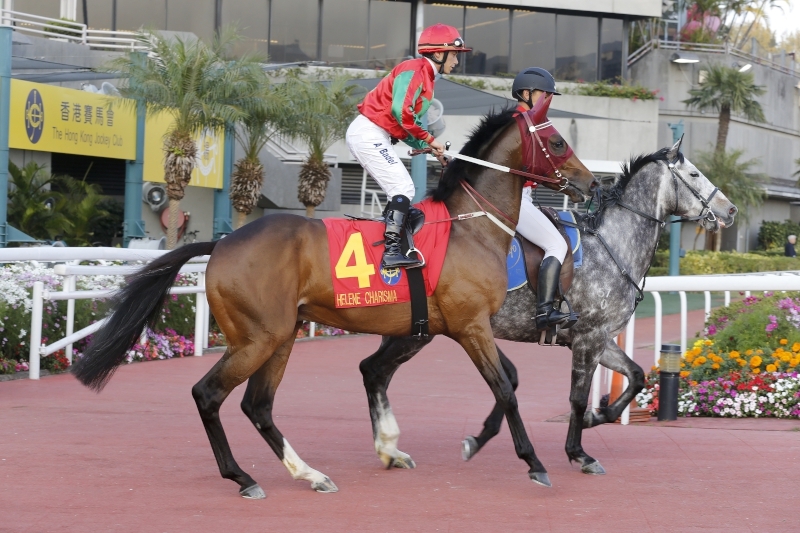 On Sunday, they meet once again, but this time on the racetrack – Yen is the co-owner of John Moore-trained Bad Boy, while Hung has travelled to Dubai and back with his galloper Amber Sky. 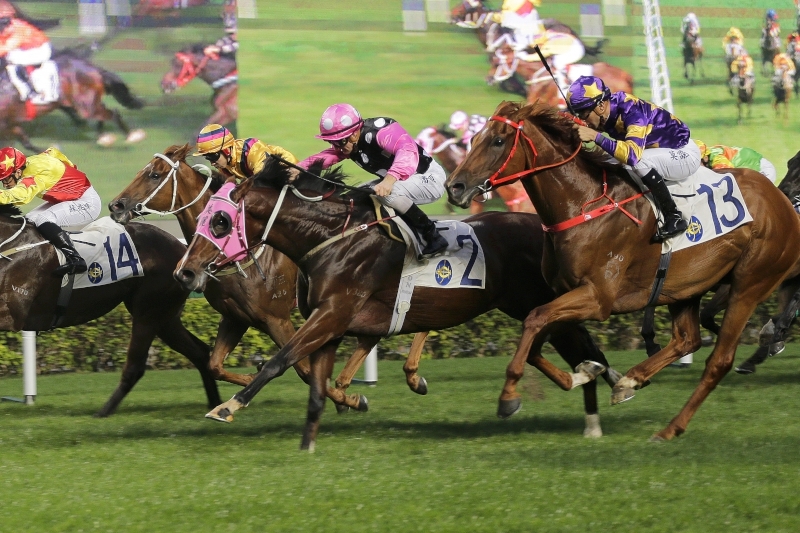 The pair are among six runners in the Bauhinia Sprint Trophy Handicap, one of only two stakes races over the straight 1000m during the Hong Kong season. 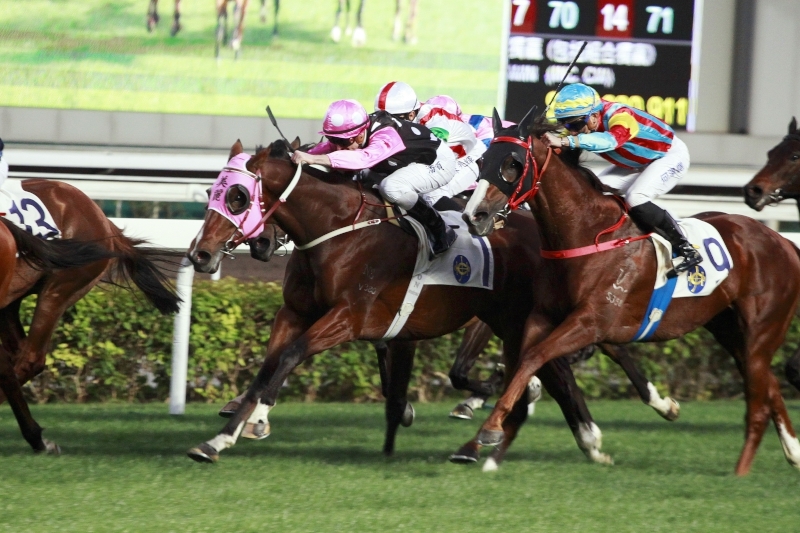 Bad Boy lands a stylish victory down the Sha Tin straight course in the Lukfook Jewellery Cup last start. 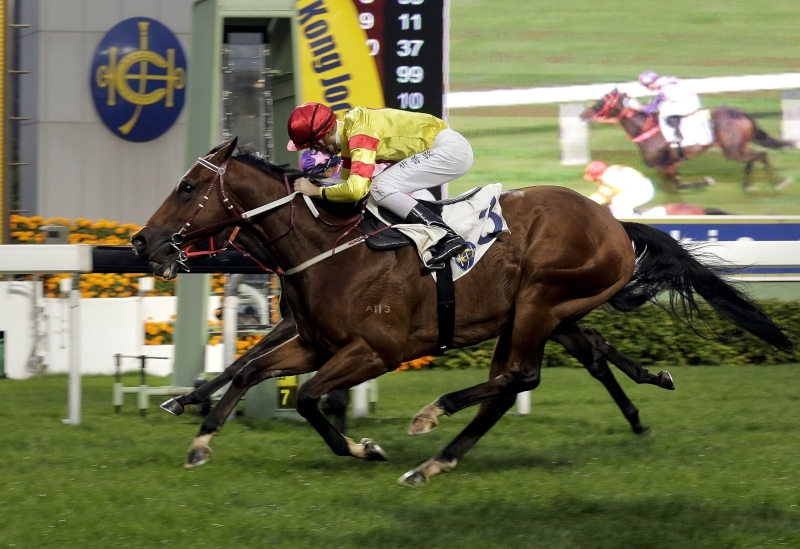 Bad Boy (113lb) is a star on the rise, having won his last start in Class 2 very impressively under 133lb, while seven-year-old Amber Sky (115lb) is nearing the end of his Hong Kong career after an innings that stretches back almost five years. For Moore, who also sends out last year’s winner Not Listenin’tome (132lb), it is a race that is ripe for the taking for a horse on the rise like Bad Boy. 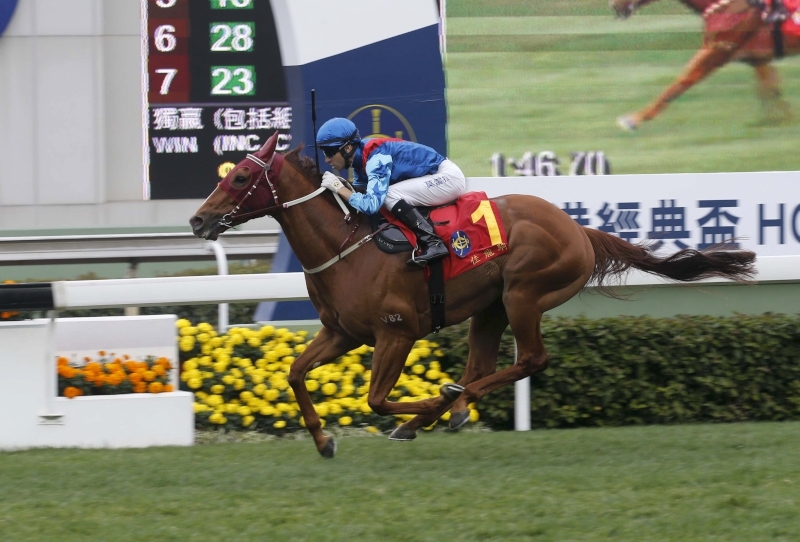 “Bad Boy is very well placed at the weights, he’s going to be very hard to beat, there’s no doubt about it,” Moore said at the Sha Tin trials on Friday (6 January), indicating that he believes Sacred Kingdom’s track record of 54.7 seconds, set in March 2007, could be under threat. “They are going to go fast, very fast. With the speed they are going to go, perhaps even the record could be broken if there’s a tailwind. 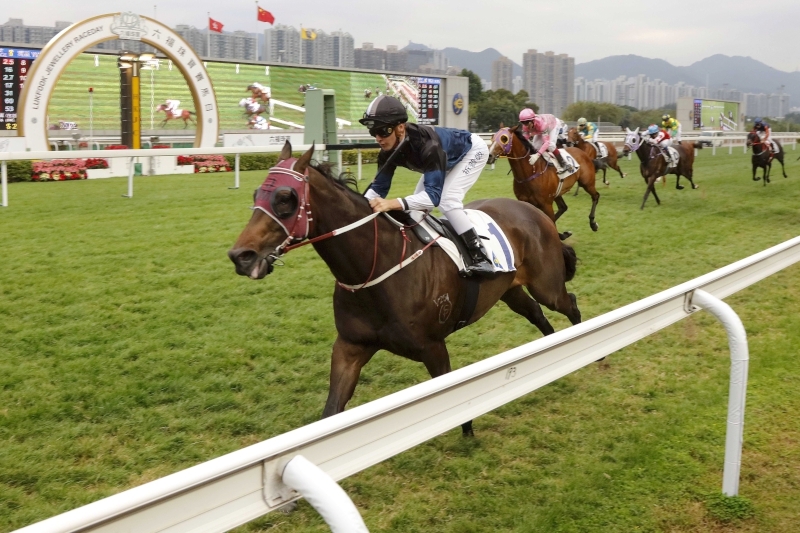 Bad Boy will be Chad Schofield’s first ride of 2017 with the 22-year-old making his Hong Kong reappearance on Sunday after a month-long suspension, and he says he is thrilled to be given the chance to strike immediately upon his return. Not Listenin’tome won this race last year, which booked him a March trip to the G1 Al Quoz Sprint at Meydan on Dubai World Cup night, and Moore said the six-year-old was likely to return to seek desert riches this year, even with the Al Quoz Sprint stretched out from 1000m to 1200m. “Not Listenin’tome is entered for Dubai, for the Al Quoz Sprint,” Moore said. “I didn’t enter Bad Boy as yet, but entries close next week, I believe, so if Bad Boy comes out and does what I think he can on Sunday, I’ll look at putting him in there too. But at this stage, Not Listenin’tome is likely to go back to Dubai. 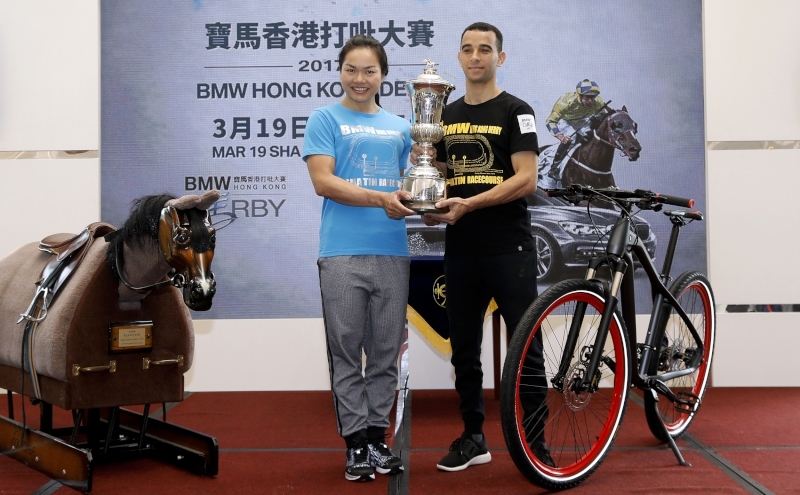 Tony Cruz suggested his charge Peniaphobia (133lb) was unlikely to go back to Dubai, despite placing in the Al Quoz Sprint the last two years, while Ricky Yiu said his 2014 Al Quoz Sprint winner Amber Sky was “too old” to go back to Dubai. 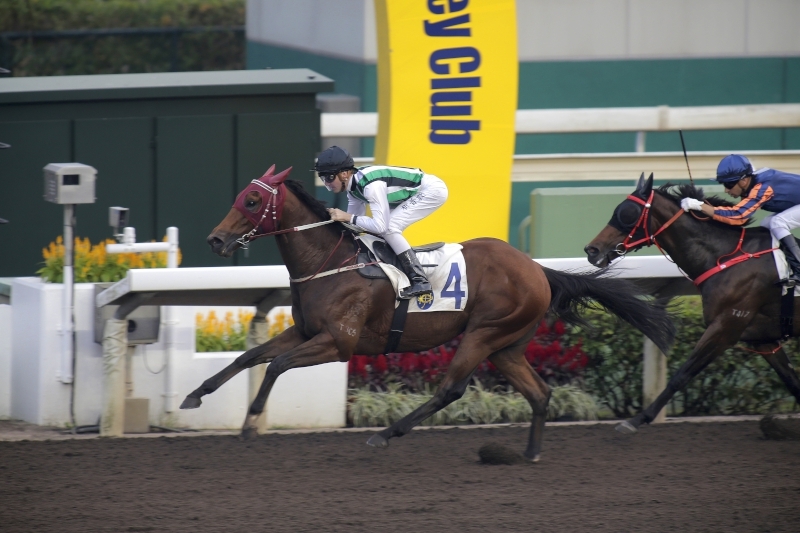 John Size-trained Amazing Kids (133lb), a stakes winner over the course and distance in October when he won the G3 National Day Cup Handicap, and Me Tsui’s smart four-year-old Adventurer (113lb) complete the line-up for the feature, which is set to jump as the third event at 2pm on Sunday. 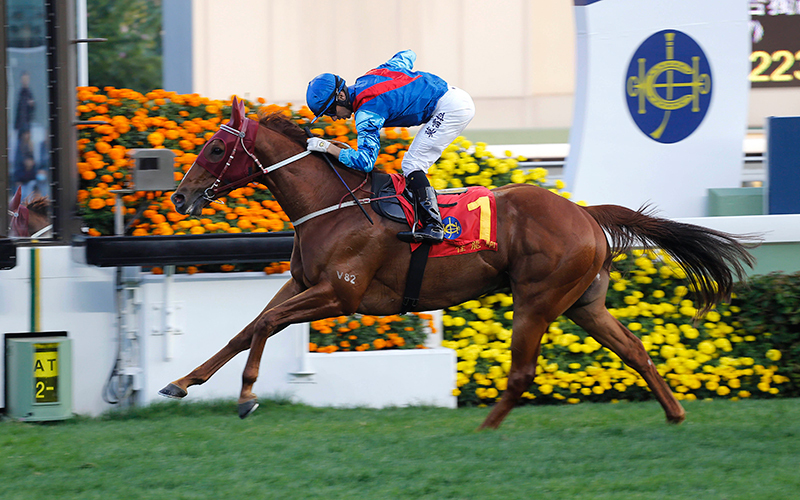 Moore had a big morning at the barrier trials on Tuesday with a number of his classic contenders stepping out, and he hopes that Sunday’s Class 2 Violet Handicap (1600m) may be a stepping stone to the Hong Kong Classic Mile for two of his four-year-olds, Beauty Generation and Rodrico. 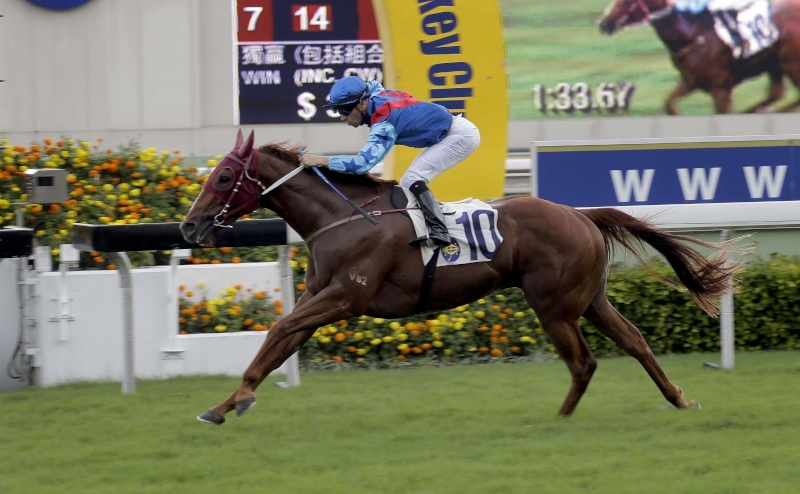 Beauty Generation (130lb) stamped himself as a horse to watch for the Four-Year-Old Classic Series with his first Hong Kong run, when he finished three-quarters of a length second to My Darling on 27 December under Zac Purton, and Moore says he needed to run the Australian import once more before he stepped up to the classics. 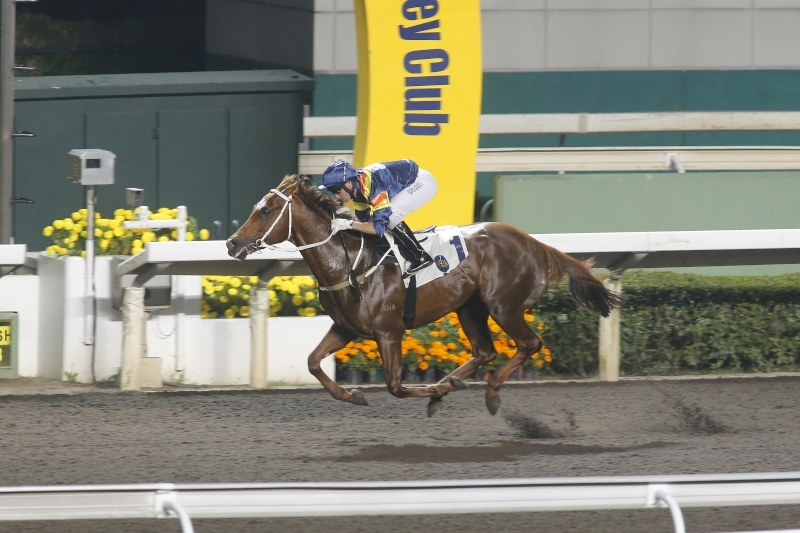 Beauty Generation runs a gallant second on his Hong Kong debut last month. 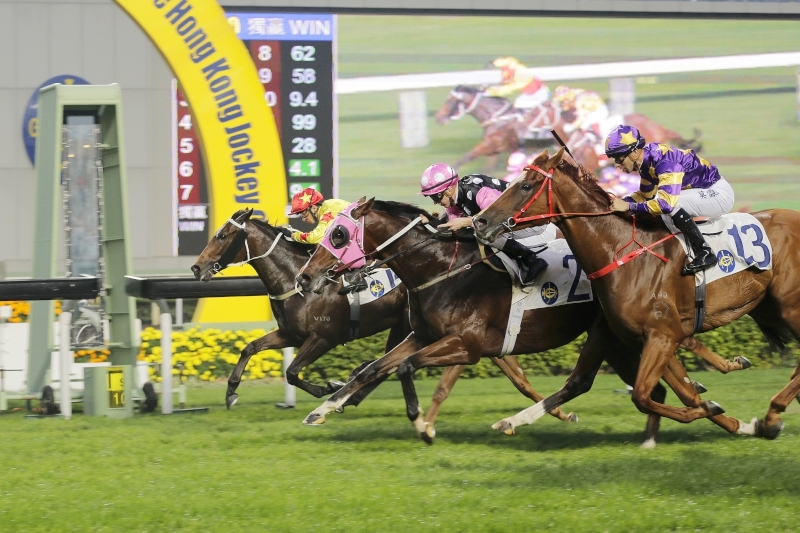 For his part, Purton believes that Beauty Generation is spot-on at the moment for a horse headed to March’s BMW Hong Kong Derby (2000m). “His first-up run was great, he did everything we hoped he was going to do,” he said. “He relaxed nicely, it was quite a fast-run race so it wasn’t out of the ordinary to see him relax the way that he did but he’s a relaxed customer in the mornings anyway and he powered to the line in good fashion. 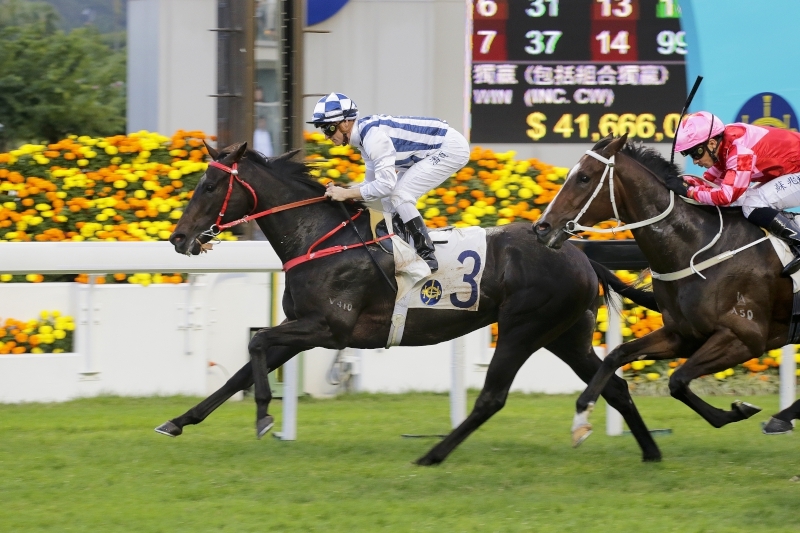 Moore also sends out Rodrico (125lb), who finished second to his new stablemate Eagle Way in the G1 Queensland Derby (2400m) in June, for his first run since in the Violet Handicap, with Sam Clipperton jumping aboard the son of High Chaparral. 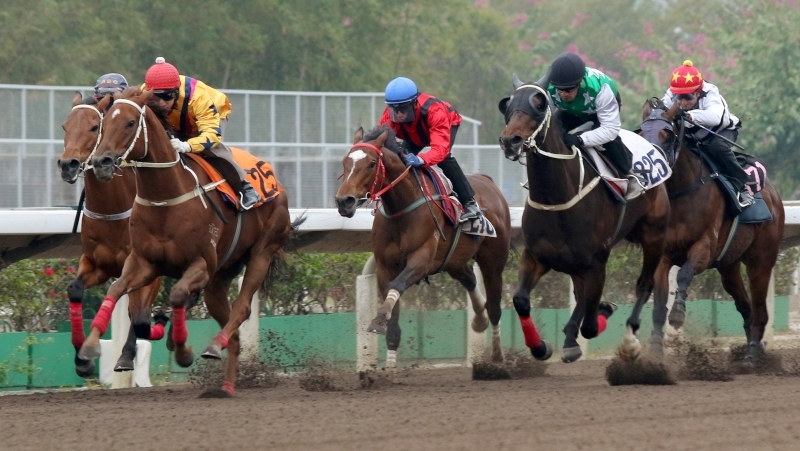 The trainer had a further update on his potential Hong Kong Classic Mile runners after a number of his classic crop trialled on Tuesday (3 January) morning, with entries for the first of the big four-year-old races set to close on Monday (9 January). “Rapper Dragon came out of his trial the other day very well, it was a good trial,” Moore said. “We’re very happy with him, it’s just that he had that setback so we lost a little bit of time. 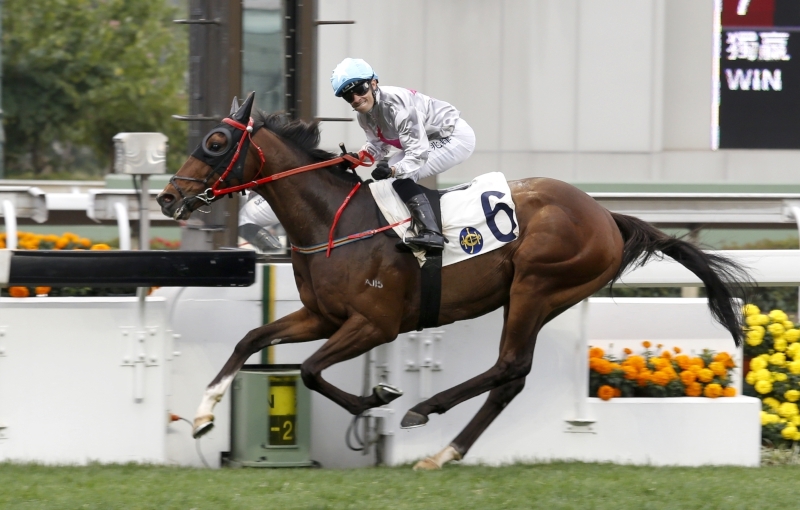 But we know now that Joao (Moreira) will ride him in the Classic Mile, so we’re starting to put our team together. 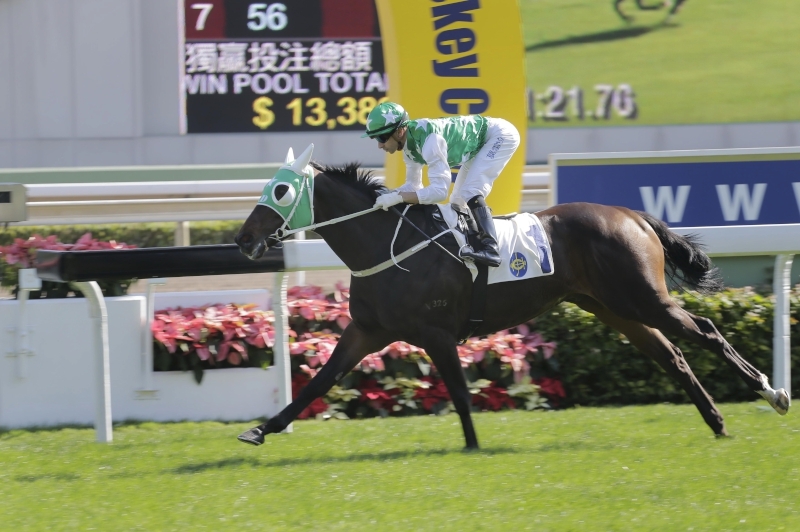 “I’ll be entering both Helene Charisma and Booming Delight in the Classic Mile too, but there’s an 1800m Class 2 on the same day that will suit both of them. Victory Magic ran in it last year on his way to the Derby. 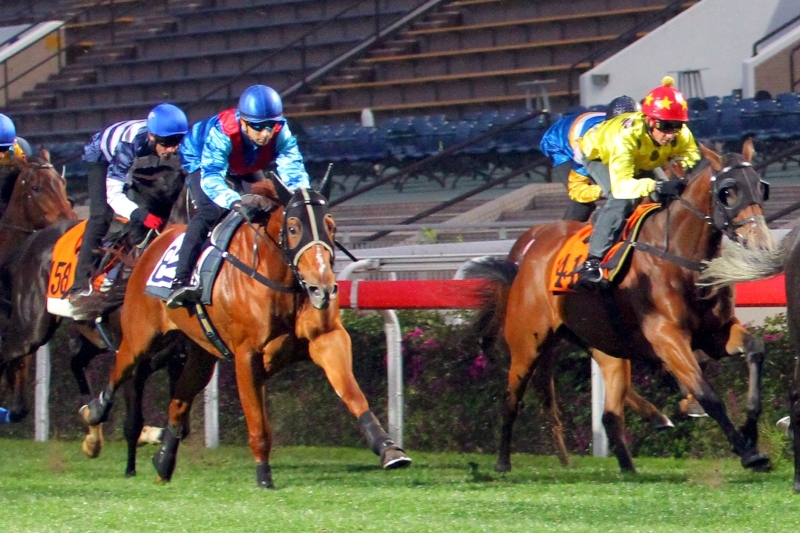 The Class 2 Violet Handicap closes the card on Sunday with a scheduled post time of 5:45pm, with the first, the Class 5 Fire-Cracker Vine Handicap (1600m), due to jump at 1pm.